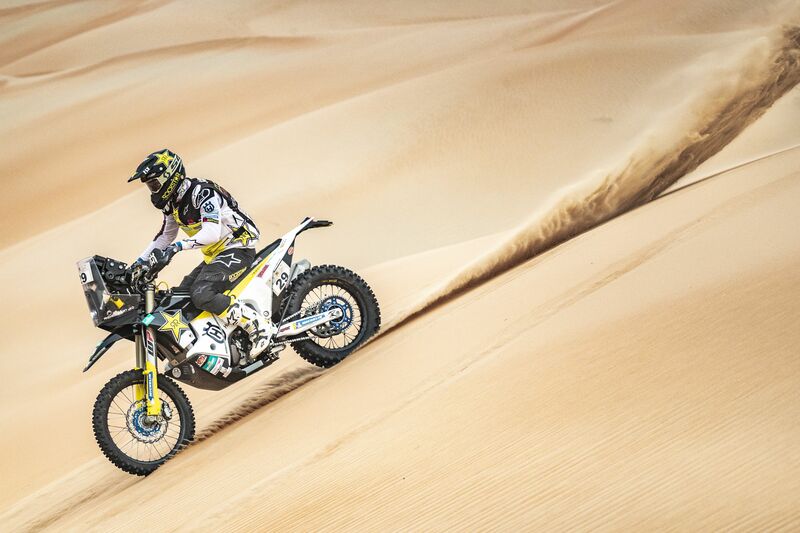 Following a challenging stage three of the 2019 Abu Dhabi Desert Challenge, Rockstar Energy Husqvarna Factory Racing rider Andrew Short has put in a strong performance on the long stage four to finish third fastest. Setting off as the 11th rider into today’s 286.1-kilometre timed special, Short immediately set about making up for time lost on the previous stage. Catching and passing a number of riders ahead of him the American rode, and navigated, the majority of the technical stage alone. Cloudier weather conditions, although still hot, made for extremely challenging navigation through the large dunes of the Liwa Desert, especially on what was a fast-paced stage. Arriving as third fastest at the end of the special, less than one-minute down on the runner-up, Short now lies fifth overall in the provisional overall standings with one stage left to race. Totalling 351.96 kilometres, Thursday’s stage five includes a 214.47-kilometre timed special in the Liwa Desert.